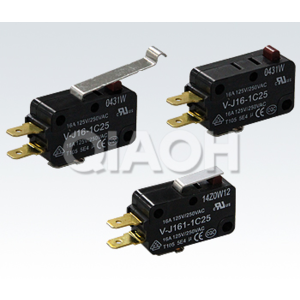 V-J01 light intensity small basic switch - V-J01 light intensity small basic switch - PRODUCT - Shanghai Qiaoh Industry Co., Ltd.
■The micro switch - high reliability of the light intensity. ■the whole single movable pieces. 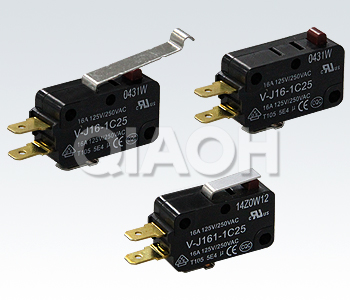 Action characteristics, model V-J014, force recovery force, OF **RF, small 0.29N0.02N, pre travel, over travel, poor response, PT **OT, small MD**4.0mm1.6mm0.8mm action position OP18.7 + 1.2mm.